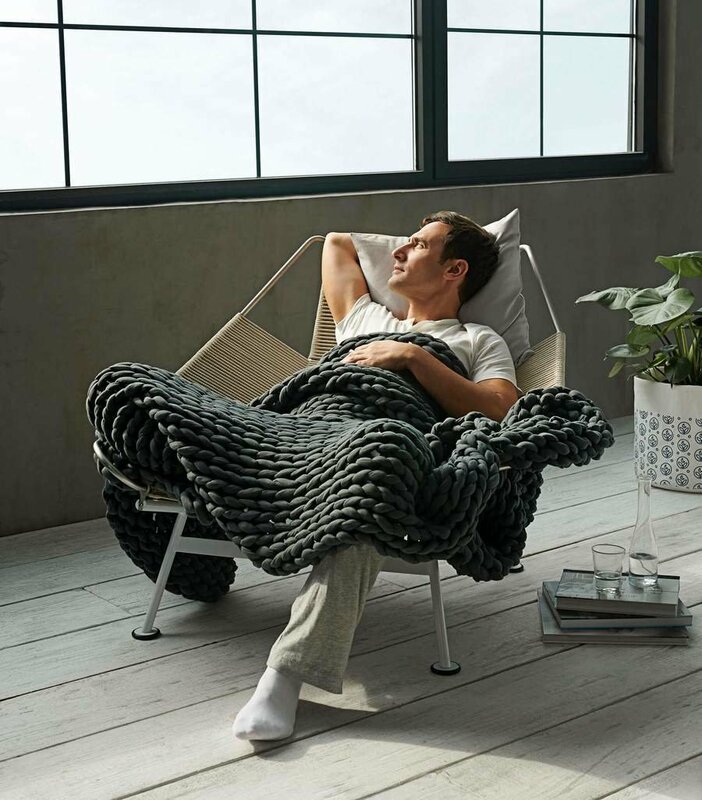 The Napper is made from naturally weighted yarn, woven into a stylish and functional blanket that adds 20 pounds of soothing weight without any artificial filling materials. The weight of the Napper (20lb) softly melts across the body, using Deep Touch Pressure Therapy (DTP) for an immediate calming effect. The Yarn is naturally weighted through organic cotton layers, making the blanket cozy and breathable. To seamlessly blend into the design of your home, the Napper is available in six colorways: dreamy pink, moonstone, midnight, cuddle blue, asteroid grey, cloud white.